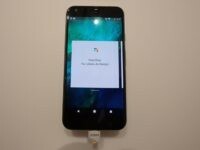 With weak iPhone sales causing Apple to suffer its first full-year revenue and profit declines since 2001, several analysts are downgrading Apple and upgrading the potential for Google’s new Pixel smartphone line. 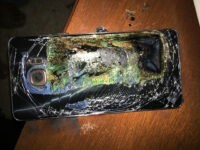 The Wall Street Journal reported that as Internet chatter built claiming batteries supplied by a Samsung affiliate for the Galaxy Note 7 smartphone were spontaneously catching fire, the company canceled the product before the U.S. Consumer Product Safety Commission could ban the device due to safety concerns. Another newly shipped Apple iPhone 7 caught fire and destroyed a car in what looks similar to the same type of battery fires that forced a worldwide recall of all Samsung Galaxy Note 7 units. With Samsung cancelling the Galaxy Note 7 after a continuing series of random spontaneous combustions, Apple iPhone 7 Plus and Google’s Pixel XL seem best positioned to battle it out for the 8 million sales opportunities. 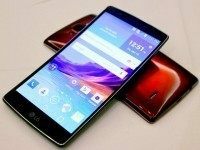 By the early response, the best mobile “phablet” phone of CES 2015 is the beautifully updated LG G Flex 2. The LG G Flex last year was big and featured a curved display technology with a somewhat dim screen. However, this year’s update fits in the hand better and uses its curve to dramatically improve screen appeal and phone durability.